Like Marc Jacobs in New York, Prada is the big ticket draw in Milan regardless of merit. Luckily in this instance the hype lived up to the expectation. Prada looked back to the brand’s early days in the 1990s with a streetwear inspired collection. The models wore the flat brimmed caps that were popular at the time and the silhouette was boxy or squared off and held together with modern fasteners. Prada's futuristic-looking logo was emblazoned across the chest or fixed as corporate patches sewn on tops. There was no shortage of bright colours; fluorescent pinafore dresses were layered over strapless cocktail dresses and tweedy coats. We loved the translucent brightly coloured fringed pieces that caught the light. As with many other collections that were seen in New York, coats and outerwear were the real statements here, but Prada mixed functionality (staying warm and dry) with frivolity (pretty tulle and layers). Padded boots with drawstring coverings completed the looks. With her go faster stripes and images of athletic prowess, Stella Jean is having an Olympic moment of her own. Just in time for the closing ceremonies of the 2018 Winter Olympics in South Korea, Jean instead focused on summer Olympic events such as track and field, long jump and fencing, all of which appeared as imagery on her clothes. Lane markings were interpreted as stripes and numbers as graphic elements on ties, skirts, and bibs. She didn't stray too far from whimsy but by downplaying her overtly indigenous and tribal influences, Jean has managed to create a savvy and sophisticated collection. The Italian sportswear brand is famous for its gorgeous coats and impeccably tailored clothing and once again they didn’t disappoint on this front. They started the largely monochromatic show - black, camel and grey were the predominant colours - with mixed animal prints, skirts over trousers and suspenders dangling from waists. As we've seen on several runways this season, sleeves were trimmed with fringe and elbow-length leather gloves predominated. With the longer skirt lengths, layering of trousers and covered heads, it is clear that the focus was on modest dressing but they managed to imbue this with a slightly punk edge. They were having a bit of a celebration over at No. 21 because after all, who doesn't love a parade? With jewels exploding over skirts and dresses like fireworks, the marching band took centre stage in this collection with its tall hats and militaristic touches. Coats were worn over slip-dresses that were trimmed with lace. Lace trousers were paired with sweater vests on which dual marching figures could be seen. A Western influence was also apparent; cowhide was used for coats and collars while fringe and utilitarian plaid patches added to the cowboy feel. The designer also took inspiration from the retro glamour of Las Vegas and nearby Palm Springs of yesteryear with the 1940s influences that appeared in the cut of the jackets and skirts and the styling of the models who marched down the runway wearing brothel creepers. Iconic images of Las Vegas covered the jackets, coats and dresses that closed the show, and more sparkle came in the form of crystal beading along the hem of a satin evening coat that was evocative of twinkling lights of the Nevada city. Ancient Greco-Roman influences were entirely evident in this bold and graphic collection from Fausto Puglisi for Fall 2018. Greek keys and olive leaf patterns covered his gladiator dresses. Paired with thigh-high boots, the structured shape of these woman warriors was something to behold. All at once grand, ancient and historic, Puglisi's leather dresses and woven, patchwork with metallic embellishments were the standouts, as were the Harlequin-patterned skirts. The clothes were accentuated by geodes worn as necklaces or on belts. 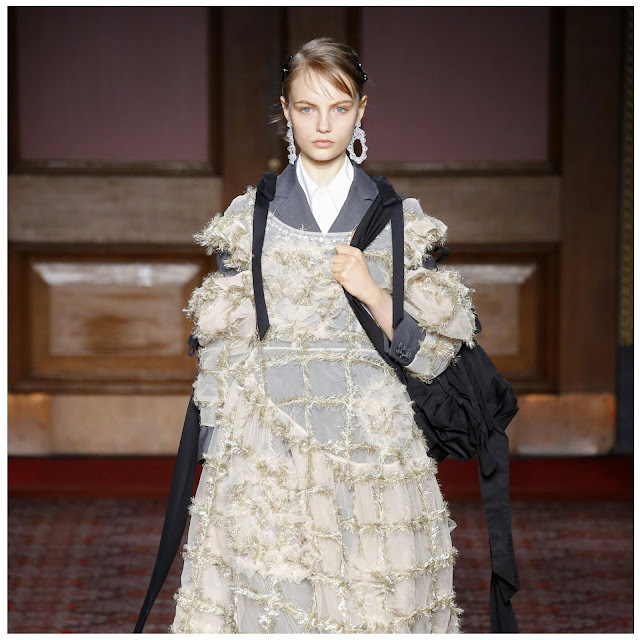 The last of Moncler’s collections to be featured here comes from Simone Rocha. 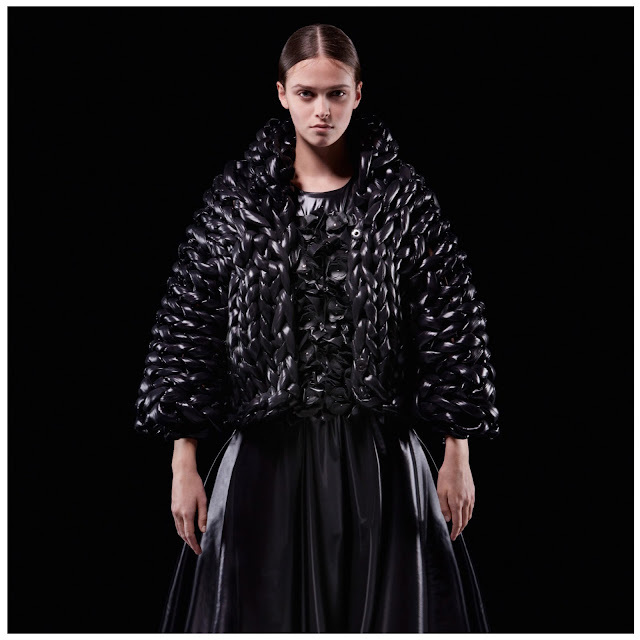 If anyone can make padded winter outerwear light and feminine, it is this designer who put her pretty spin on the clothes by downplaying their practicality and emphasising the structure and form. 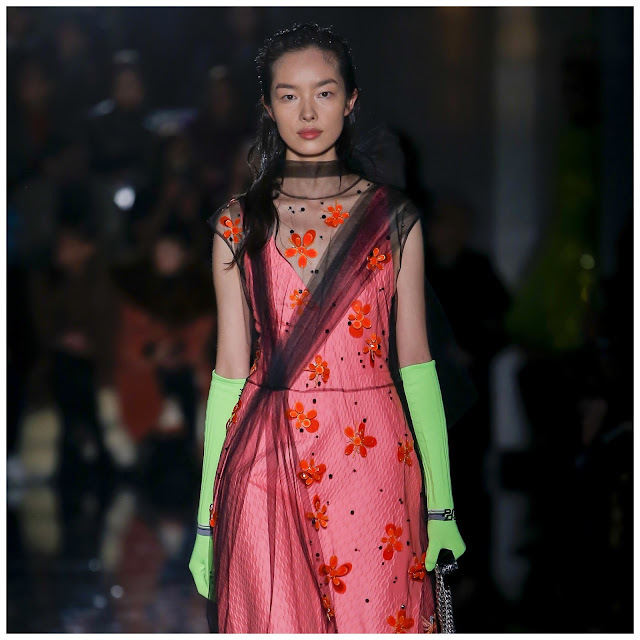 There was a certain Oriental feel to the collection which was helped by the models’ ethnicity, the Mount Fuji-like background and the pretty, spring-like flowers that were reminiscent of Japanese cherry blossoms. Feminine frills adorned the dresses and coats some of which were in the palest, most balletic pinks and white. Even the sunglasses, bags and gloves were bordered with flowers. The next collection yhis time from Craig Green was more sculptural than practical and saw the wearer cocooned in yards and yards of padded down and leather that often resembled lifejackets. The monochromatic, conceptual pieces included hooded jackets, trousers and coats all with arachnid-like extensions. Ridiculously gorgeous and sublime, more art than fashion, so of course we loved it. While the designs from the Genius Group’s first collection might be a little low on the wearability scale, they are unquestionably beautiful. Pierpaolo Piccioli’s hooded, floorlength coats and padded gloves were made in black, white or coloured-blocked. The opening of Milan fashion week got off with a bang and a difference. 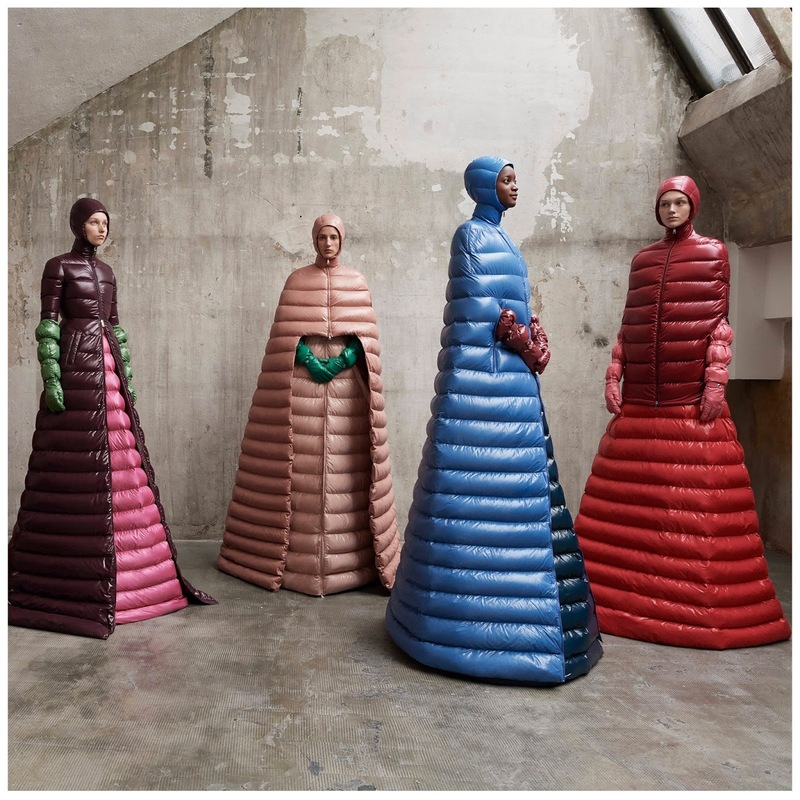 Moncler designer Remo Ruffini came up with a grand plan to overhaul the heritage brand’s image - a winter uniform in some places. To inject a little interest and life into the functional but stylish line, he collaborated with eight well-known designers whom he gave the moniker the ‘Genius Group’. 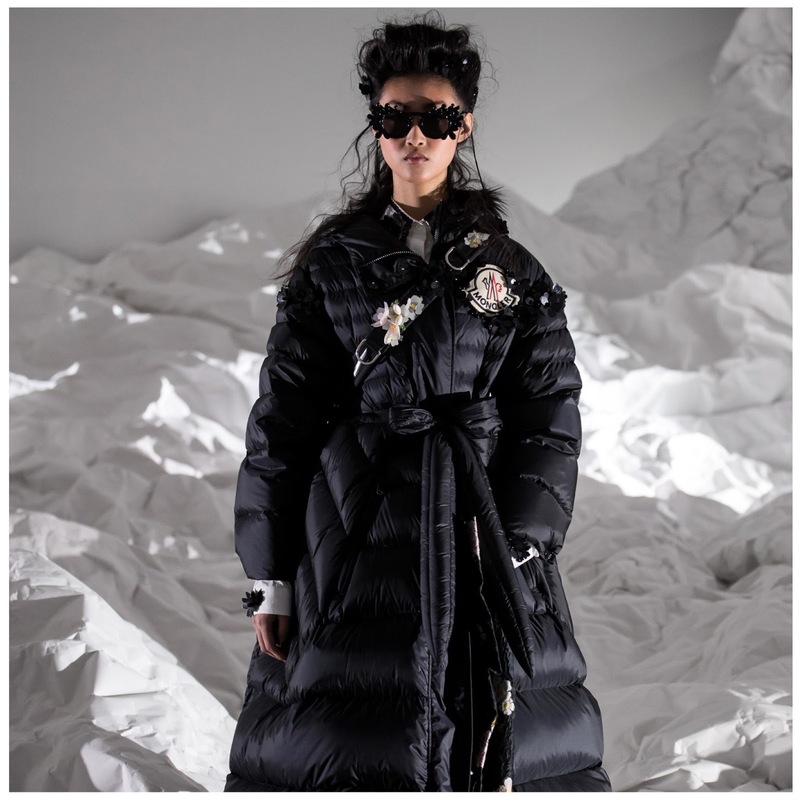 The roster includes Pierpaolo Piccioli, Simone Rocha, and Craig Green each of whom created a unique collection which will be released on a monthly basis. The launch took place in eight tented spaces each individually designed to show off the collections to their best effect. The first of the Group we have highlighted here is the all black collection called Noir from Kei Ninomiya. Specialising in intricate fabric manipulation, the clothes were padded but still pretty with short jackets that stopped at the waist and padded skirts that hit the knee. The intricate textures and patterns formed simple shapes but added a lot of interest. Army green was the preferred colour palette for opening pieces in this collection. 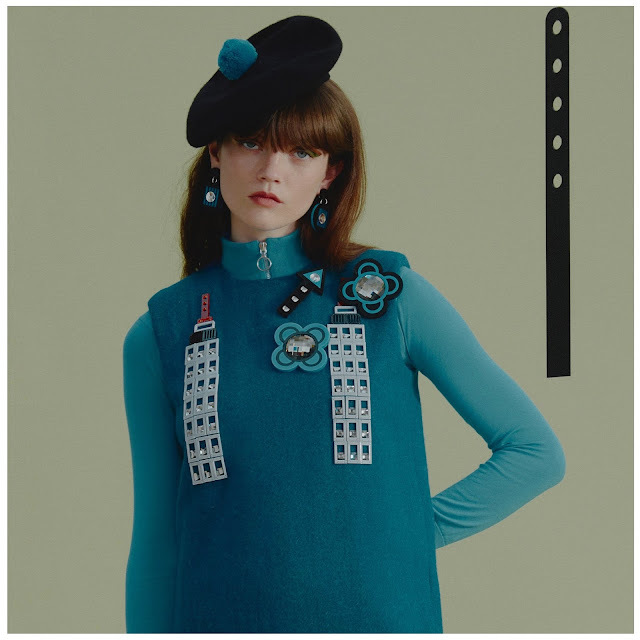 Temperley even went so far as to emblazon the clothes with badges that proclaimed “She who dares wins”, medals and patches featuring postage stamps and fuel-gauges. Other militaristic touches included safety-buckle belts, parachute straps and aviator jackets, but these eventually gave way to the dresses for which the house is best known. In the middle there was a mix of suits and separates with a vaguely 1940s silhouette. The show-stopping gowns that were the finale hinted at armour with their metallic touches. Definitely a collection for strong woman regardless of whether she chooses to wear a boiler suit or a gown. 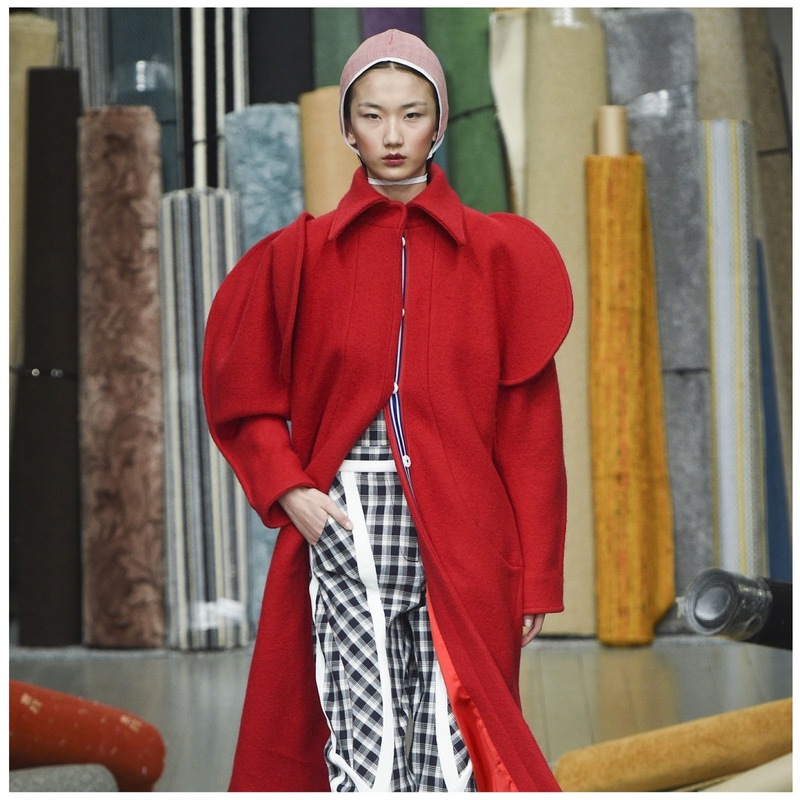 A little less structure, more flow from Roksanda this season which saw models swathed in blankets and shearling coats. The brightly coloured elongated silhouette was framed in yellow, camel, red and blue. Silk was the material of choice but our favourite pieces were the gowns that closed the show. These tulle confections in pastel colours were pretty and feminine with their high ruffed necklines. Inspired by British artist David Hockney, creative director Amy Powney showed the complete package while touching upon the tropes we've been seeing in a new way. She incorporated pattern mixing, duality, the ruche-ing of fabrics, plaids, gingham, padded coats with sloping shoulders and even turtlenecks. There were lovely, striped silks and florals and, true to their name, pearls embellished shoes and tops. Powney took cues from the palette of Hockney's paintings as well as his fashion. Monochromatic polka dots brought up the rear and there was some asymmetry. The clothes were simple with just enough of a twist to keep things interesting. Patchwork perfection at Shrimps where the models were photographed against a carpeted backdrop. 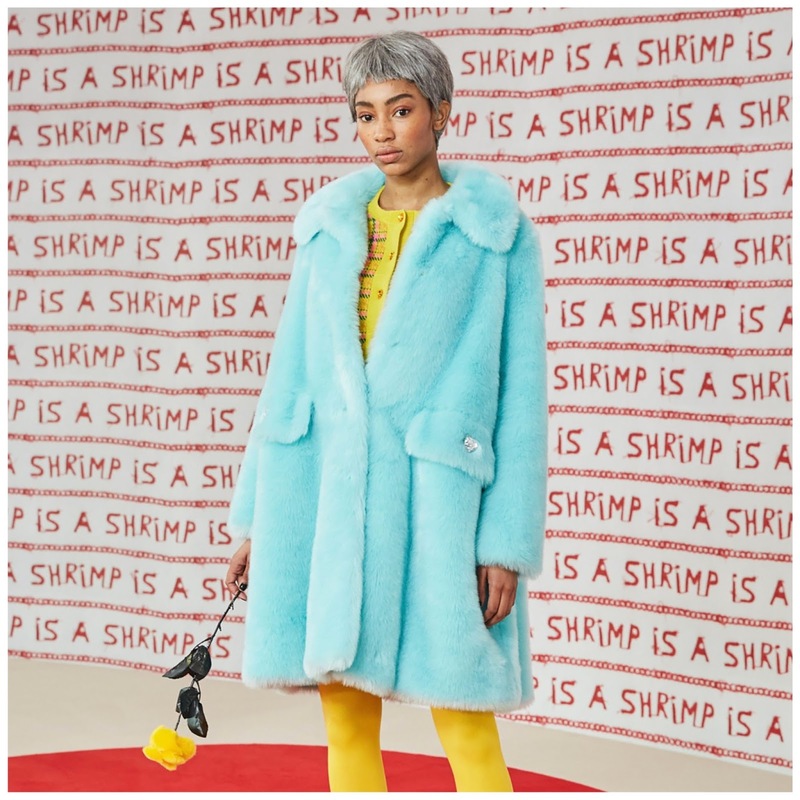 Designer Hannah Weiland showed the line's usual fun and faux fur coats, however this time instead of bright pops of colour these were covered with simple, hand-drawn faces and heart imagery. Animal print showed up in the form of a handbag with a heart shaped handle and a scarf. There were clashing prints and an odd sort of patchwork that appeared unplanned but in fact was strategic. Mismatched colour combinations provided contrast. Love and romance were obviously in the air as, oddly, was Gertrude Stein. Her influence could be seen in the models' the short, choppy hairstyles which were directly based on Stein’s iconic hairdo and her well known saying which was altered for the brand's purposes to “A Shrimp is a Shrimp” and emblazoned on prints, embroidery and the carpeted backdrop. What a feast for the eyes! Richard Quinn was like a caffeine injection straight to the veins. This wildly exuberant collection saw the designer combine florals with stripes, printing and padding; a real mismatch of elements but one that worked beautifully. 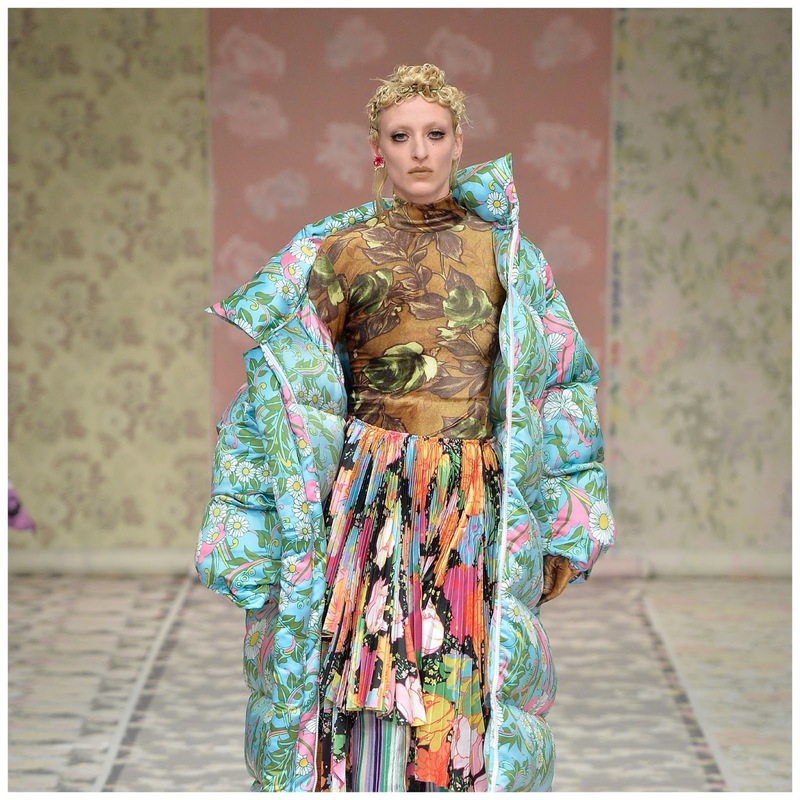 Famous for having scarves cover his models’ faces à la club kid Leigh Bowery, he varied the scale, design and colour of the patterns but there was still a cohesiveness about the show. His patchwork came in the form of scarf dressing - a tongue in cheek take on Balmoral style – flowing capes and coats and even motorcycle helmets were not spared the Richard Quinn Print Treatment. Much has been written about the unexpected arrival of Queen Elizabeth II at Quinn’s show. She was there to present the designer with the first annual Queen Elizabeth II Award for British Design which has been created in recognition of the role the fashion industry plays in society and diplomacy. The award will be given to a British designer who shows talent and originality while at the same time demonstrating value to the community. Quinn took home the prize this year as much for his fashion design work as for his print studio in Peckham, London which is open to college students and other designers. We read a review of the New York fashion shows last week that suggested looking like a baked potato might be one of the trends to come out of that city this season such was the proliferation of shiny, metallic silver. Over at MM6 Maison Margiela, they certainly decided to go all out in this regard and produced a collection of some stunning silver pieces. Sequins, pleats and quilted textures in matte and shiny silver were used from head to toe. The disco ball never looked so chic and was obviously the inspiration. 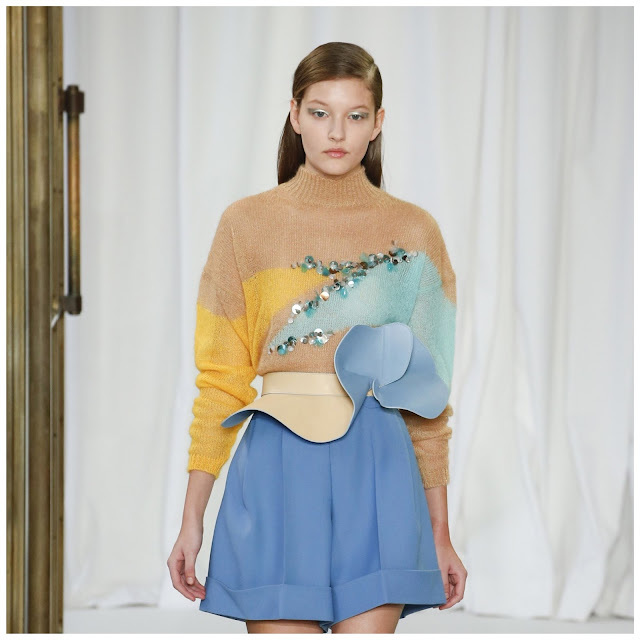 Delpozo scaled back on his characteristic, over the top and full on ornamentation. While his signature paillettes and sequins appear, particularly on the gowns towards the end, many of the pieces were notable for their wearability and practicality. Ice cream shades still abounded with the pinks and yellows and blues that creative director Josef Font prefers and celebrates however these were tampered by more muted tones and patterns. Font even showed a black dress – although this was offset by bright yellow collar piece. He also riffed on a houndstooth pattern in yellow and camel. Here the print was blown up to oversized proportions and he played with various elements including combining it with a polka-dotted pattern. Pretty, flowerlike belts were worn at the waist and his signature sloping shoulders and corsages also showed up. All in all, it was a simpler collection than the typical Delpozo offering but beautiful nonetheless. Marcus Lupfer’s collection was richly, textured and atmospheric and accented with a lot of sparkle and shine. The plaid that is proving to be very popular on the side of the pond, makes an appearance on tailored coats, skirts, jackets and scarves and he paired it with a pretty floral print on skirts and coats. Floral touches also turned up on belts and fringe was the main embellishment. It was a collection that was simple and elegant, but with a youthful vibe. 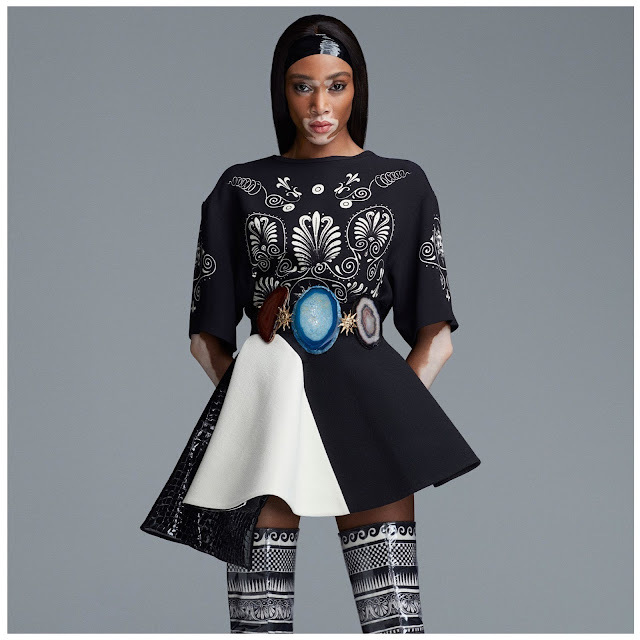 Duro Olowu was inspired by Pauline Black, the frontwoman of the two-tone ska revival band the Selecter, and Dada artist Hannah Höch for Autumn 2018. 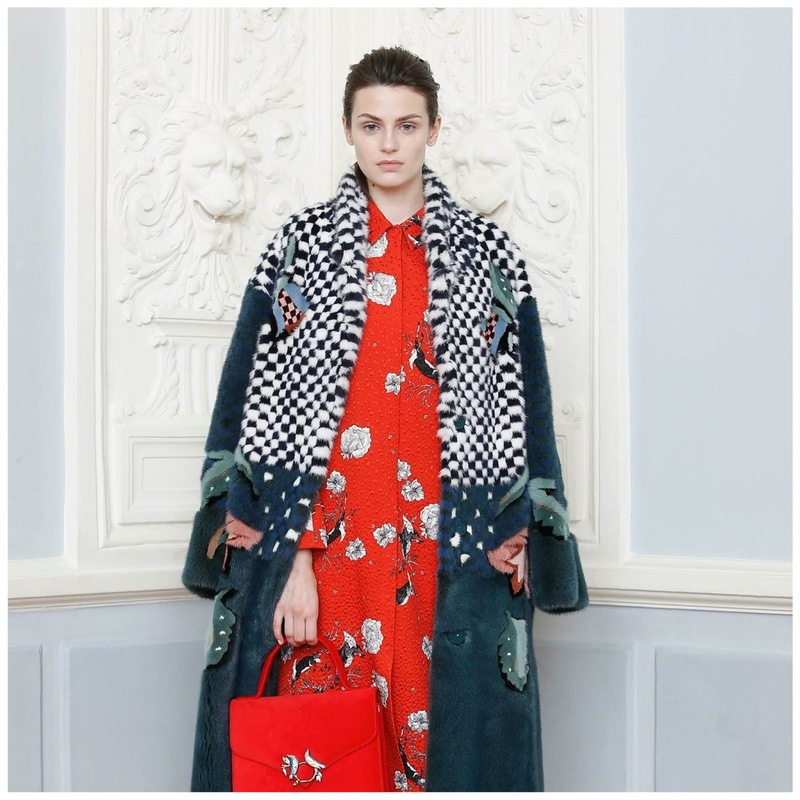 He showed vibrantly patterned coats and dresses, often with wide bell sleeves with geometric prints. 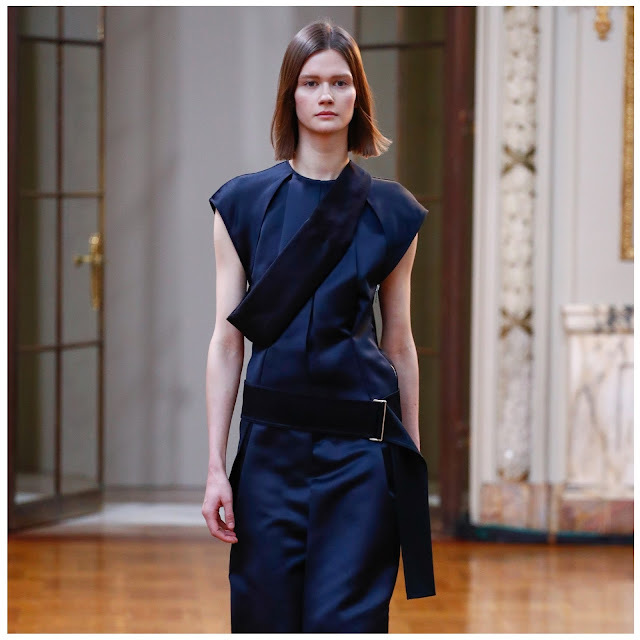 Streamlined elegance from Chalayan which saw clothes wrapped around the models' bodies. 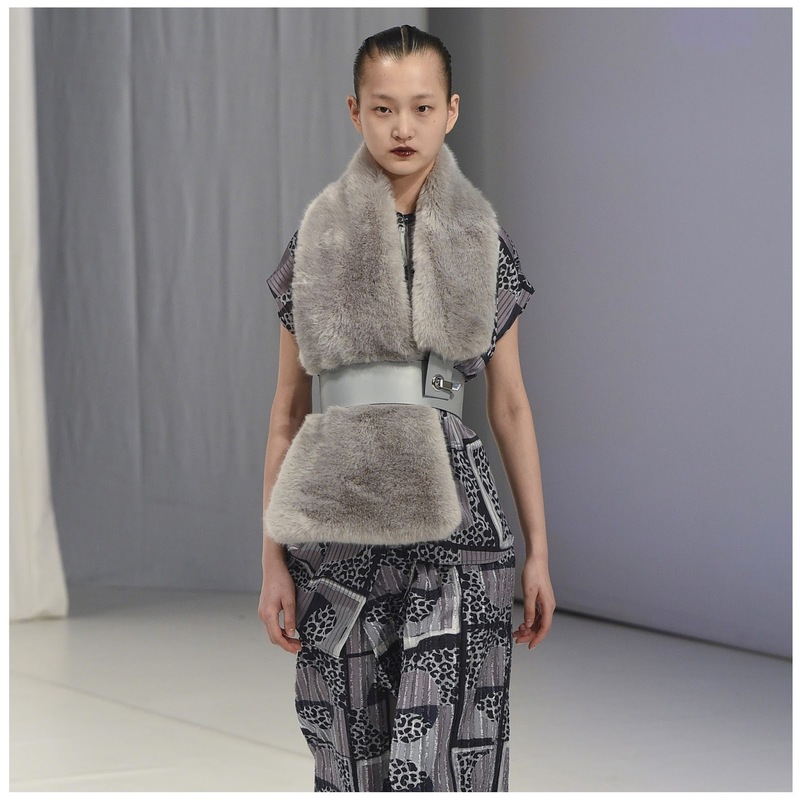 The modern designs had a futuristic look which saw the models cocooned in fur pieces and down coats. The clothes included irregularly gathered black dresses with complicated, yet mysterious architectural foundations. 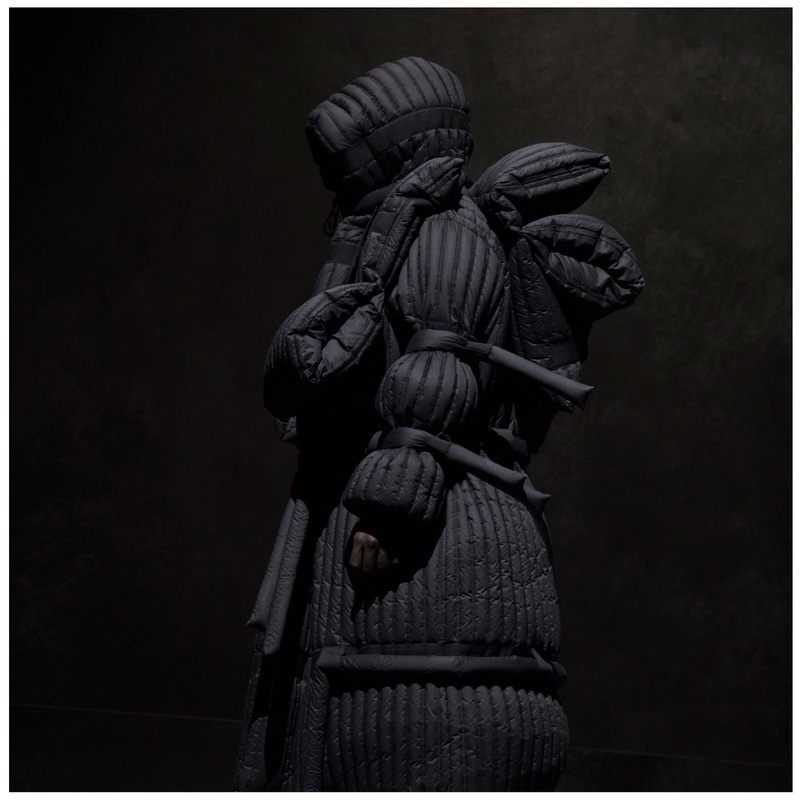 The collection, which was entitled ‘Peripherique’, was sparked by a closer look at social tensions created by unintegrated migration into Europe. In this moment of renewed female empowerment, Gareth Pugh's post-apocalyptic warrior was certainly on point. His collection showed the new direction power dressing will take us in the coming seasons with broad shoulders, tapered, cinched waistlines and wide-legged trousers, the looks were meant to be strong and intimidating. Another beautiful collection from Simone Rocha who showed opulent tiered and flounced dresses layered over trousers and suiting. 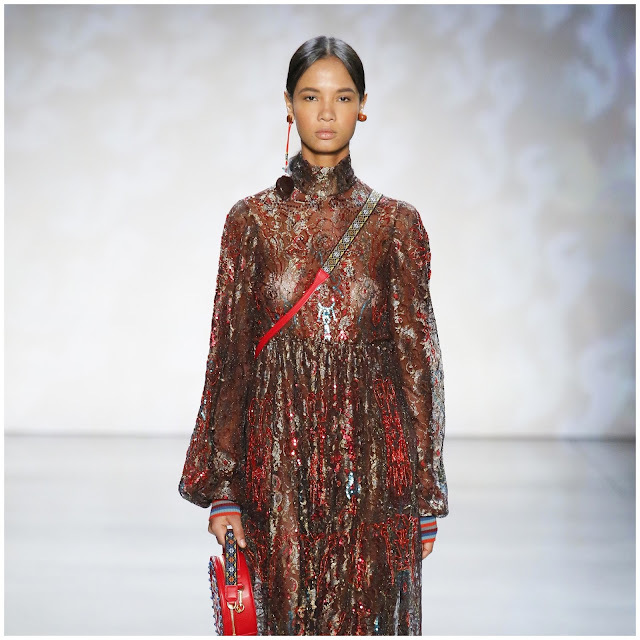 Bright red plaid, bold florals and black lace met their counterpoint with a pale golden flowered brocade that was meant, according to the designer, to resemble a Constable landscape. Rocha took her inspiration from 19th-century fashion and incorporated this into the collection through her voluminous sleeves, the illusion of bared shoulders, and wide, open necklines. Everywhere swags of bows draped the models or were affixed to trousers, jackets and coats. Fantastic sculptural pieces from Richard Malone who showed colourful houndstooth, gingham, and stripes. 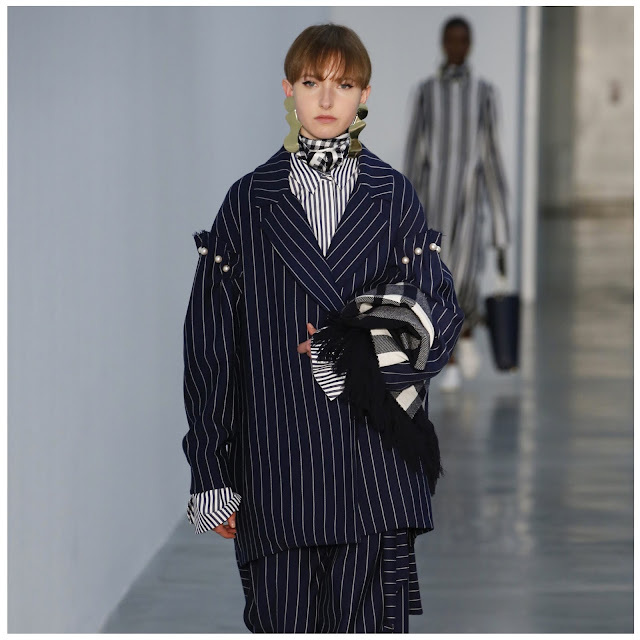 The true stars of the collection were his jackets and coats with their rounded and exaggerated shoulders, cut away lines and nipped in waists that still managed to flatter the body. Holly Fulton gets our look at London off to a great start with a quirky collection that pays homage to the art deco architectural excesses of the 1930s. Skyscrapers, the physical manifestation of success and progress at that time, were incorporated into the structure and patterns of her pieces and accessories. 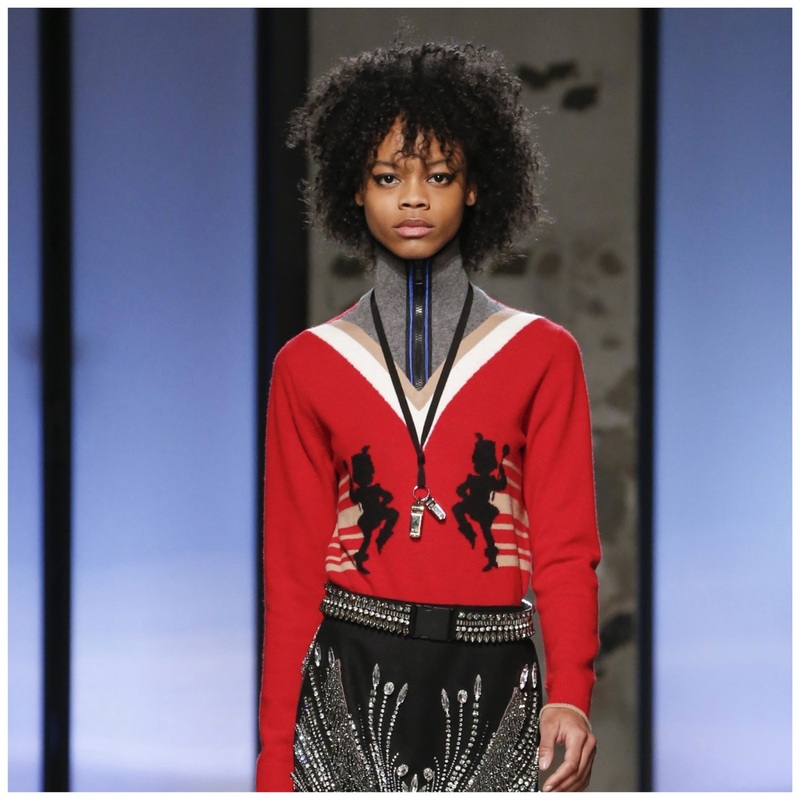 She used bright colours, graphic prints and aded dimension with the use of studs, feathers, shearling, and crystals. A little out of our wheelhouse but we thought Nicholas K's take son the Western/prairie trend was well done. He showed feminine dresses, off-the-shoulder shirts, tiered skirts and of course the quickly becoming ubiquitous touches of animal print, all based around a muted palette of black, white and ochre. The New York runways were crawling with animal prints. We wish New York Fashion Week was more than just The Marc Jacobs Show, but when you are one of the few designers doing anything different and interesting in an entire city that purports to be a major international fashion centre, it’s a little difficult to move away from that preconceived notion. It’s a city that is finding it increasingly difficult to cater to the middle ground: collections were either targeted to old money, socialites and debutantes, or were more conceptual and artistic - fashion with a capital ‘F’ of the type favoured by club kids and those with “alternative lifestyles”. Did we like everything Jacobs showed? The simple answer is no, but as we say he did manage to produce a collection that was at least noteworthy for the season. He did this by looking back to the 1980s. His silhouette was stark: wide David Byrne-esque shoulders and double-breasted jackets tapered down to narrow ankles. The Western influence that has been seen on several runways was neatly translated here. Models looked like cowboys or vaqueros. They wore wide-brimmed hats that often obscured their identities and were swathed in yards and yards of fabric. There was very little pattern in the collection save for a clown-like harlequin pattern. Instead texture was key and most of the clothes were colour-blocked in bright colours. We’ve said it before and we’ll say it again, coats are going to be a huge trend of this fall - the bigger the better - and Missoni showed quite a few gorgeous, textured ones in this pretty, bright, and vibrant collection. Some designers this season have opted to show natural-looking animal prints and others have infused the prints with colours that are not usually seen in nature. Missoni have gone with the latter which resulted in some playful looks. We know every designer receives the same future forecast, so it usually comes as no surprise when we see repeated themes, elements and logos throughout a particular fashion week. We thought the small collection by Rebecca Taylor’s diffusion line La Vie Rebecca Taylor neatly encapsulated several of these trends: animal prints, prairie looks and florals. We are particularly liking monochromatic dressing and non-colour at the moment so this collection from Kes really appealed to us with its relaxed, easy draping and interesting textures. In a fashion Week that has been pretty uninspiring for the most part, designer Gilles Mendel's unapologetic luxury was a bold turn. We were a little conflicted about covering this collection given the extensive use of fur, but the beauty of some of the designs - particularly the dresses - eventually won that battle. Mendel showed sumptuous fabric such as the aforementioned furs, as well as brocades, lace and feathers all of which were worked into stunning gowns and outerwear and rendered in a gorgeous autumnal palette of warm oranges, reds and aubergine. With her love of Asian influences and layering, Vivienne Tam doesn't stray far from her usual offering with cozy knits, wide-legged corduroy trousers, bright colours and pattern mixing. 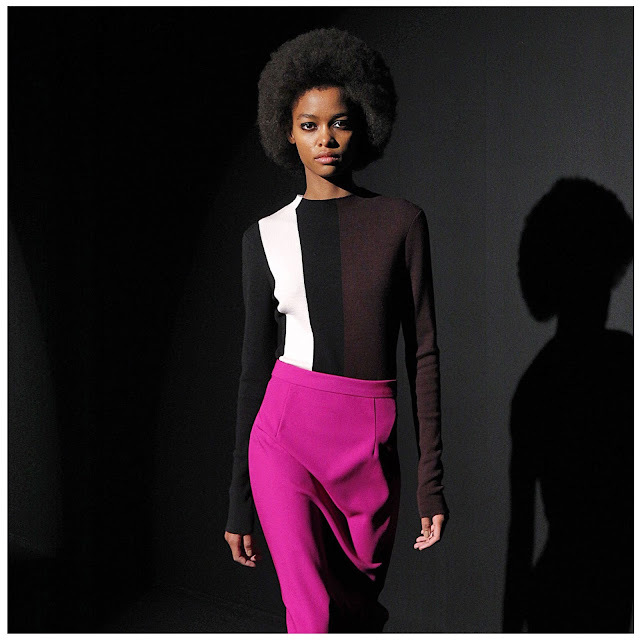 There was typical elegant minimalism at Narciso Rodriguez who showed a small collection of only 17 looks. Clothing was on the wide side with sloping shoulders and a voluminous silhouette while stitching in contrasting colours added some interest. The palette veered from jewel-toned reds, mustards, and fuchsia to monochromatic. It was a softer collection reflecting comfort and elegance rather than sexiness and glamour. Here, the models strode through and under a canopy of dying ferns. While the collection was not particularly cohesive the looks were attractive. 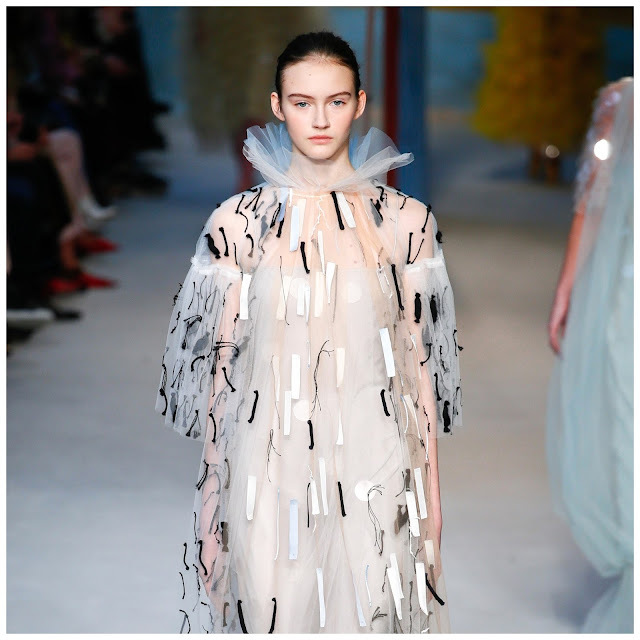 The standout pieces included light chiffon dresses featured petal-like embellishments on the shoulders and denim jumpsuits with exaggerated shoulders. Johnson also ramped up the glamour at the end showing several shiny, metallic gowns. Great coats and outerwear from Victoria Beckham who knows sometimes that's all you need to make a statement. She showed separates and the focus was on a boxy, oversized silhouette with long lines. The ubiquitous bright animal print - a definite takeaway this season - showed up on a statement coat of epic proportions. There was a vaguely 70s riff to the cut of her coats with their oversized lapels, sometimes in contrasting colour or fabric, and flaring shape. Tops and dresses were laid over skirts and trousers. Beckham also employed an interesting use of pleats which were gathered at the knee and gave a soft flowing effect. It was actually a very modest collection or, should we say, a collection that celebrated the art of modest dressing. And now for something a little different - the collection of Russian designer Alena Akhmadullina who showed lush furs combined with sumptuous lace, florals and sequins. 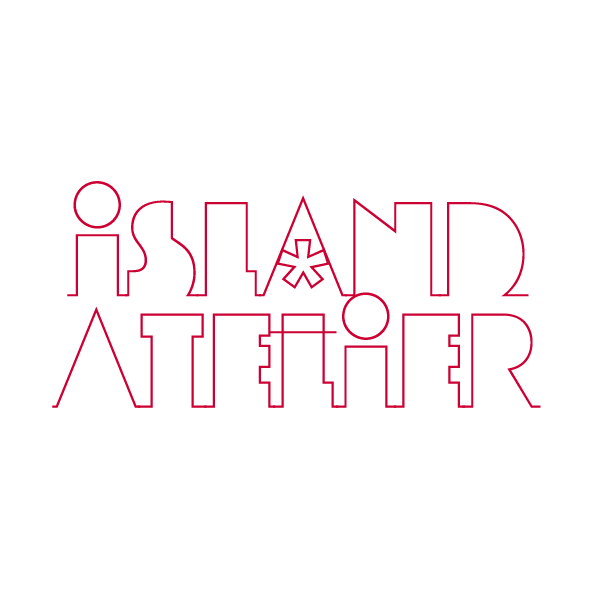 Hers was a mix of street and glamour; an excellent juxtaposition of hard and soft. One of our perennial favourites, Ms Perry plays with polka dots this season, scattering them over a-line and maxi sweater dresses. The result is somewhat light-hearted and playful and the pattern acts as the common denominator for all of the pieces. While her clothes appear to be deceptively simple, they are in fact impeccably cut and rendered - be it a simple red dress with an inverted centre pleat or knit separates set off by her trademark trifecta of coloured buttons. It usually takes a day or two into Fashion Week for us to find a collection we like enough to write about, so imagine our surprise when the first one we saw we loved! 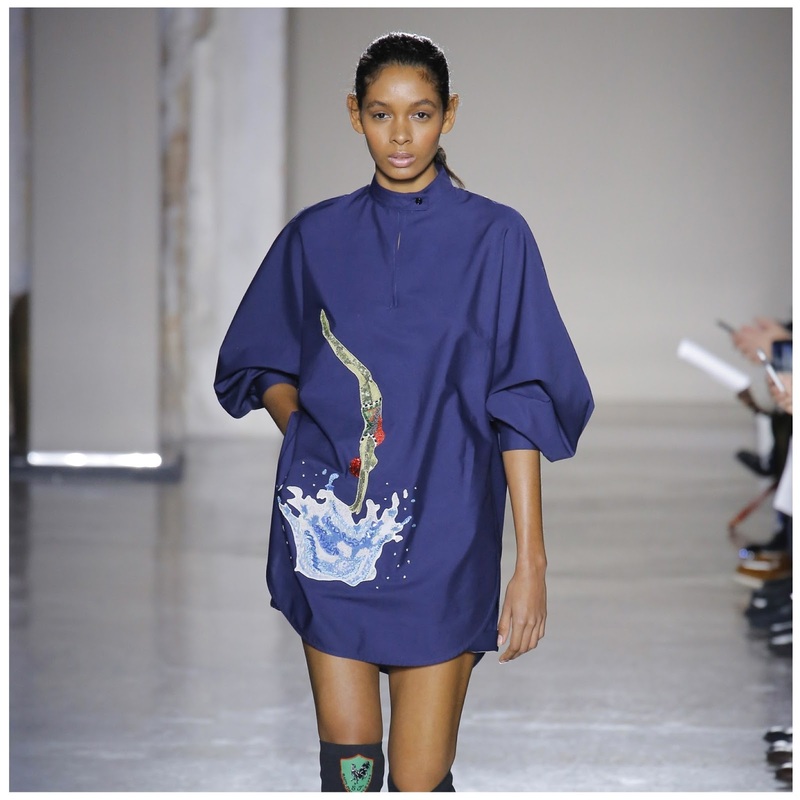 At Proenza Schouler there was a strong 70s influence through the use of tie dye, fringe, macramé, and knitwear. Texture was key and the palette was rooted firmly in that decade with its browns, mustards and blacks. The décolletage was highlighted through the use of slits or deep Vs, as was the midriff. 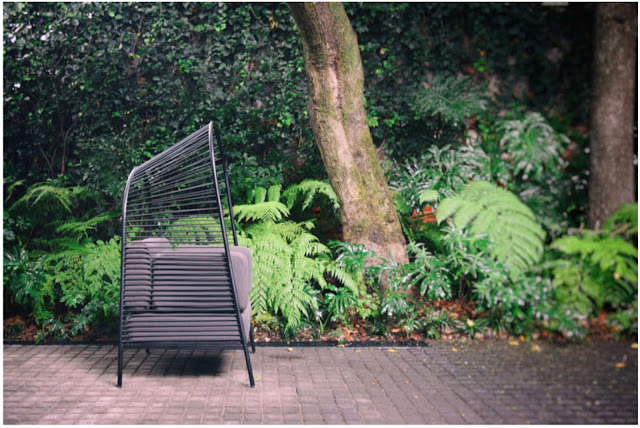 This seating which can be used both in- and outdoors is the result of a collaboration between Christian Vivanco and Los Patrones who looked to 1950s Mexican architecture for inspiration in the design of the Felix armchair. Its parabolic structure and curves were often seen in the architecture of that country. The curved pergola is comprised of two interconnected arches which help to delineate the internal and external spaces without sacrificing the visual. 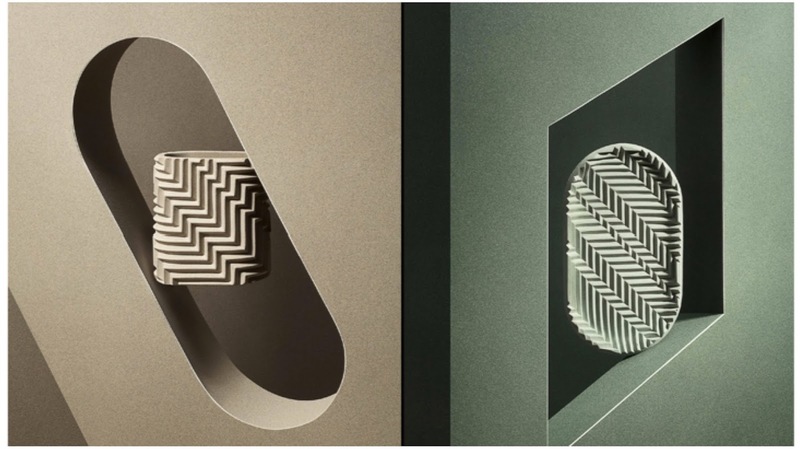 These handmade herringbone-textured objects including a vase, a tray and pen holder are by London-based designer Phil Cuttance are made from an award-winning composite material that combines plaster and cement with a water-based resin known as Jesmonite. Cuttance uses moulds to create the herringbone pattern which he then manually shapes into each object. Each piece is cast in cement and finished with a laser etched cork base which is branded with its name and number emphasising the handmade quality of the goods. 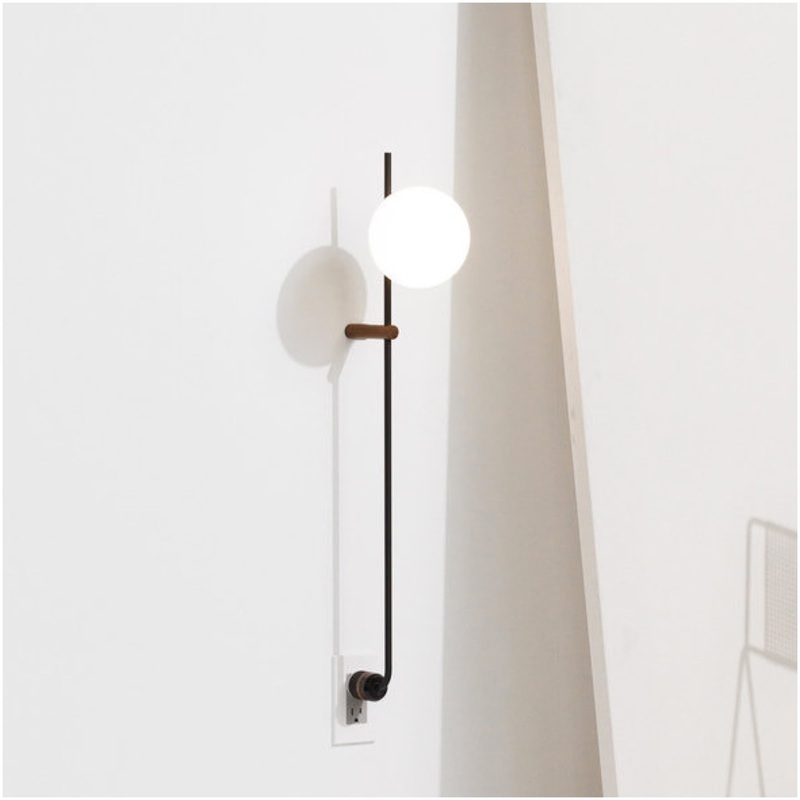 Another object filed under heading “Why Didn’t We Think of That”, is the elegantly simple Lynea light which makes hardwiring a light fixture as easy as plugging in a lamp. The plug lamp created by Los Angeles-based designers Human home combines the electric hardware necessary to connect the lamp with its structure in a way that is unobtrusive and just makes sense. It also gets rid of the need to hire a professional install a hardwired the fixture by using the outlet as an anchor. Made from powder coated aluminium with with a handblown opal glass lampshade the light is reduced to the simplest of geometric shapes. We think it makes an ideal bedside lamp, but it comes in two sizes meaning the larger one can be used as a floor lamp too. He’s designed everything from chairs to bicycles, so it should come as no surprise that Philippe Starck has now turned his hand to the design and production of beer. 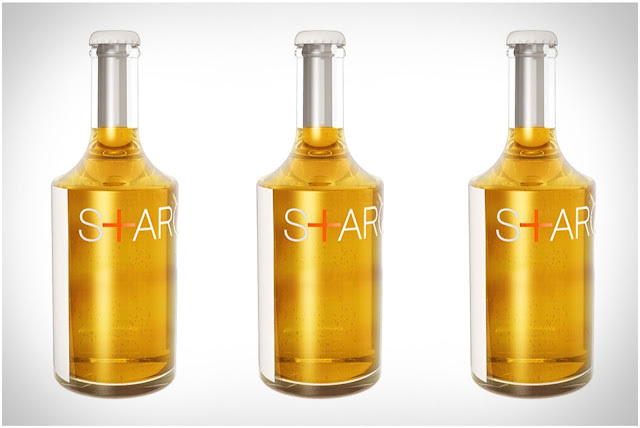 The result of a meeting between Starck and and Sébastien Blaquière, the designers have collaborated with Brasserie d'Olt to create an IPA made from organic spring barley, three types of hops and a strain of yeast. The beer is brewed with no additives colouring or preservatives and is packaged in the most beautiful glass bottles designed by Starck himself, of course. The result is a bitter beer with fruity undertones all wrapped up in one stylish package. The Staud Moreau macramé bucket bag looks to be quickly becoming many an influencer's favourite - at least for first half of 2018. 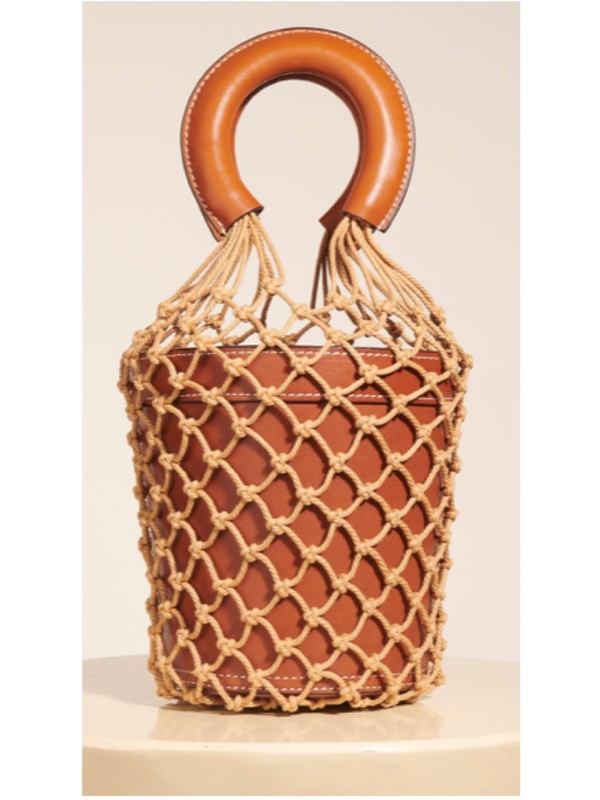 Made of brown calf leather with matching leather handles that offer a comfortable grip, it sits inside a macramé net sack in a tonal colour. The Moreau is lined in dark brown suede with contrasting ivory stitching. We haven’t featured figurines for while but we really like this little wooden golfer by Thorsten van Elten for Neue Freunde. 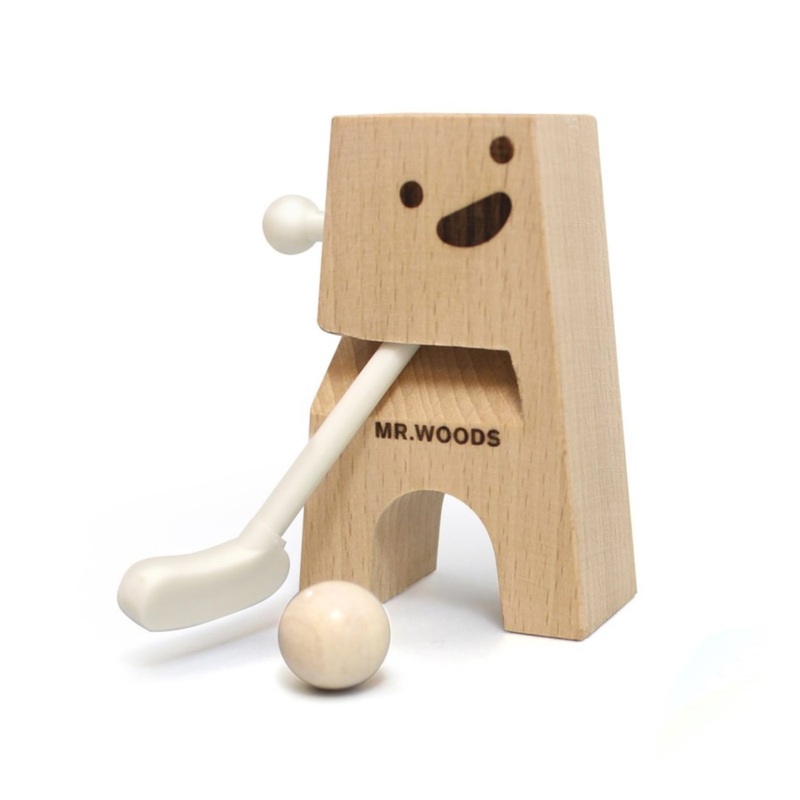 Made of wood and holding its own little plastic golf club, Mr Woods (get it) can actually play when his lever is pushed. He comes with his own set of wooden golf balls and a flatpack golf course that can be set up anywhere.